If you like our model home, the Roosevelt, but prefer something with all the bedrooms upstairs at a better price point, consider the Lamar. 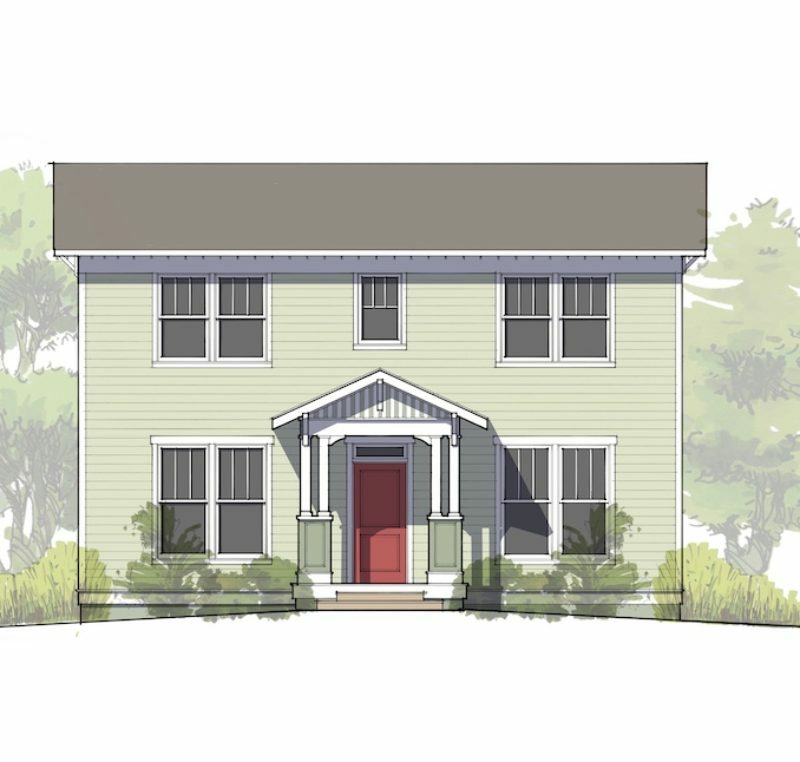 At just under 1,800 square feet, this plan is perfect for smaller families. Kids will love the circular main floor and parents will like the storage closet and pantry off the kitchen. A little separation of space makes for an interesting layout without sacrificing connectivity. Windows on 3 sides fill this home with light all times of the day. The u-shaped staircase makes for safer travel up and down the stairs. Upstairs hosts all 3 bedrooms, 2 full baths, and a walk-in laundry room off the hall. Choose the soaker tub option in the master suite to ensure a much needed break from the kids every once in awhile. The kids share the Jack and Jill bath but don’t have to worry about hogging the bathroom since the wash zones are separate. Additional bedrooms and a spacious rec room can be added with an optional basement to total 2,652SF. Finish it now or later. You decide what works best for you budget and needs. This home gives you the maximum opportunity for a truly private backyard oasis when you detach the garage and utilize the extra lot space between the home and the garage. Perfect for birthday parties or summer backyard camping for the kids.